Cabinetry may not make up all of what we do, but Marty is actually a licensed cabinet maker by trade. With about 40 years of experience, you can bet that we know our way around the kitchen. 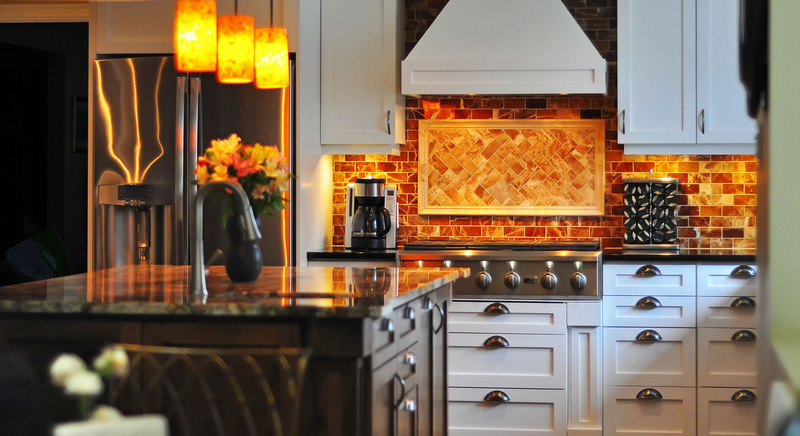 We frequently work on high end cabinetry projects, from custom kitchens to islands and vanities. We even get flex our skills on some built in bookshelves and entertainment units from time to time. We use only the highest grade hardwoods and plywoods, make our own doors from scratch, and use the best hardware on the market. 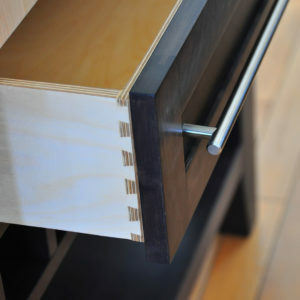 You are paying for top of the line cabinetry and that is what we strive to give you. Sometimes the budget calls for particle board and inexpensive hardware. If that’s the cabinetry you are looking for, you’re better off at the big box stores. 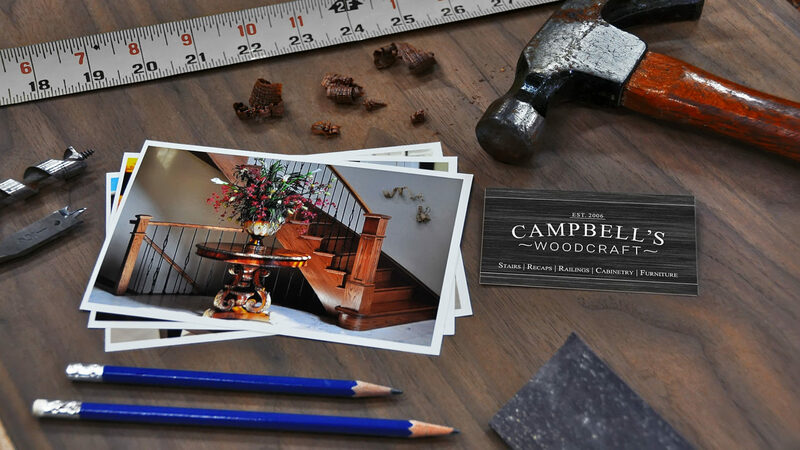 When it comes to our cabinetry, we don’t compromise quality. What we use in our cabinetry sets us apart. What we don't use in our cabinets, also speaks volumes. When we say custom, we mean custom. If you’ve seen it, dreamed it, or had a vague fuzzy feeling about it, we can build it into your kitchen. 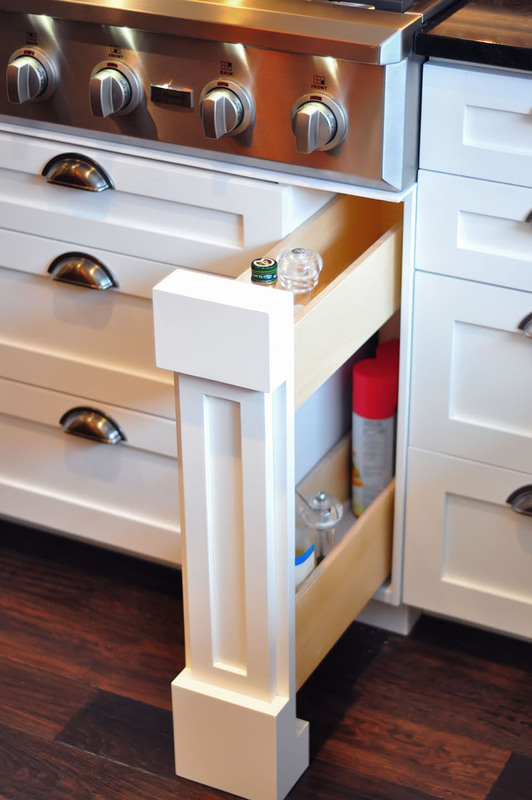 Hidden pull-outs, corner drawers, and elegant storage systems are just a few of the tricks up our sleeves. 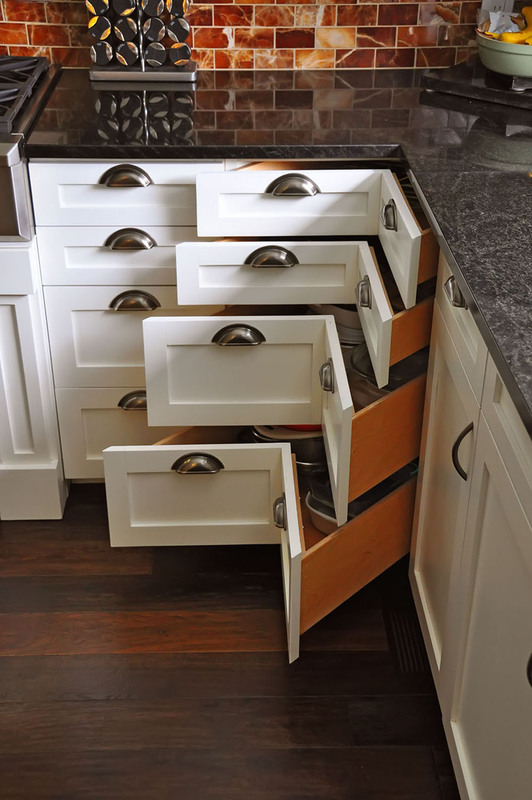 We have yet to be presented with a cabinetry challenge we couldn’t rise to meet and the internet has proven to be a goldmine of ideas ready to be implemented if you have the knowledge and experience to make them a reality. For the overall design, we encourage you to work with a designer and/or an architect to draft the plans, but for solutions and implementation, come to us for some hands on, practical advice and skill.